Superstar Mahesh Babu is currently shooting for his upcoming family entertainer, Brahmotsavam. The film is in its final schedule and the entire shooting will be wrapped up by April third week. 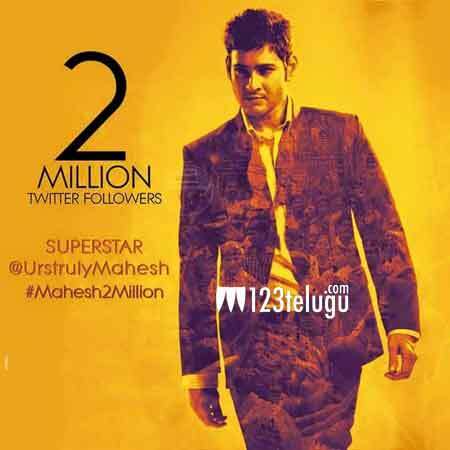 Meanwhile, Mahesh achieved a rare feat of surpassing the 2 million followers milestone on Twitter. Mahesh Babu is the first ever Telugu hero to achieve this feat. The star often shares his family photographs, tweets about his films and the films that impress him the most and even chats with his fans occasionally. The numero uno star only follows his brother-in-law and TDP MP Jayadev Galla on Twitter.